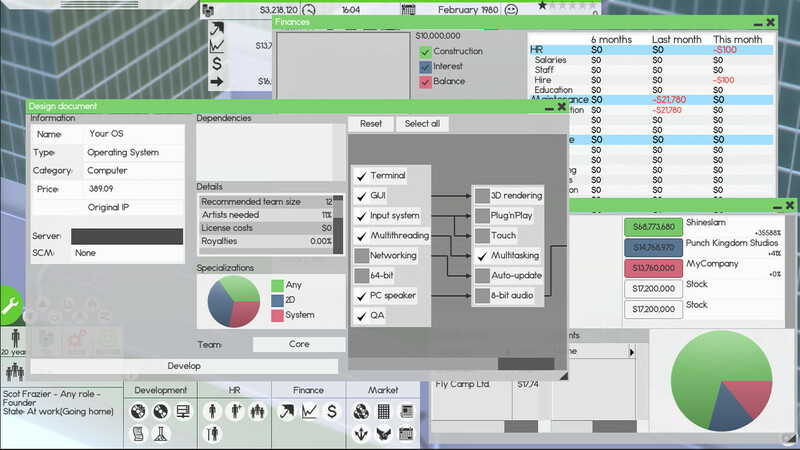 Software Inc — this is a promising simulator, combining several genres at once. 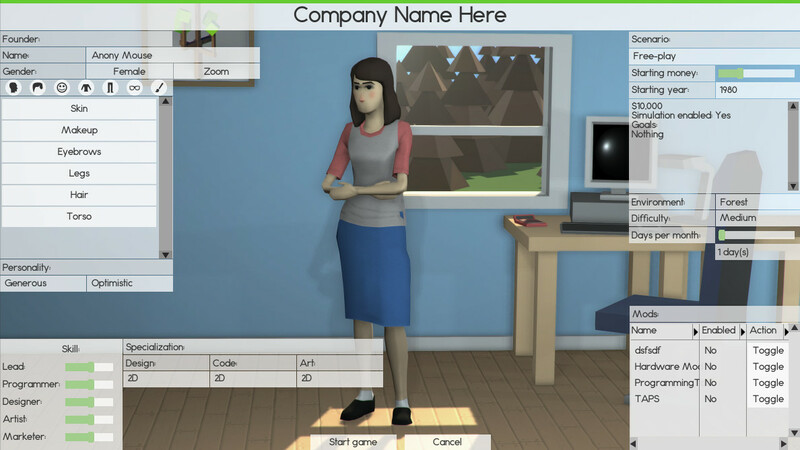 In the game you have to design and build buildings, hire employees, drawing on the data from their resumes, promote your company, creating software and even games. Create your own author, make him the manager of the company, design a convenient office to establish the most effective work of employees. Hire personnel with the best «salary-education» indicators, specify the direction in the development, get promotion of your product and try to achieve the maximum profit, so that from the beginning start-up you can create a well-known brand with a worldwide reputation. Additional Notes: Laptops with power saving graphic processors might need to be configured for Software Inc. 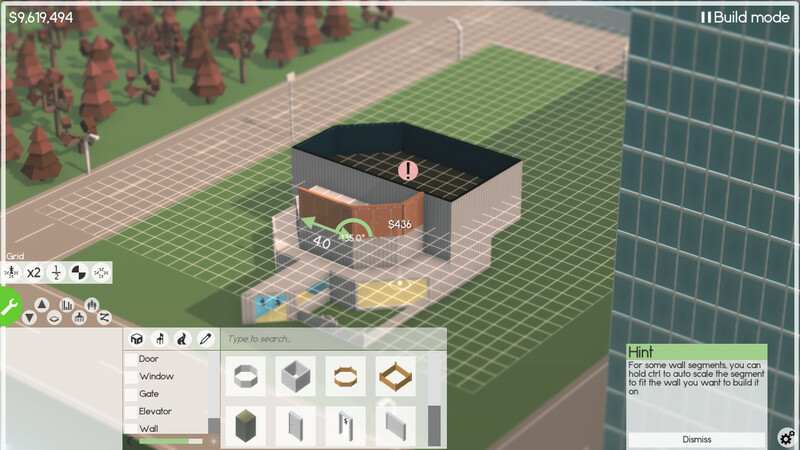 This game has been updated 22-02-2019, 06:51 to the latest version Alpha 10.10.10.